Novomatic gaming software provider has a long standing history in both land based and online casinos. It has become a reputable brand known for developing excellent quality casino games. With more than 19, 000 employees, Novomatic software made a turnover of more than €3 billion in 2011! Novomatic games are identified by their brightly coloured games characterised by high quality graphics and crisp clear sound. 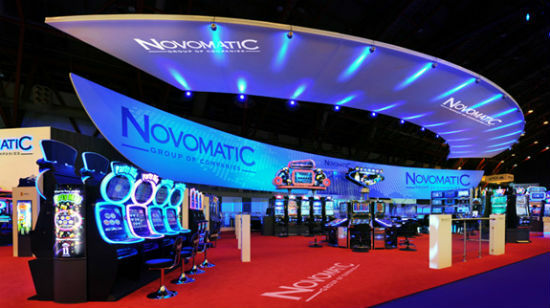 Novomatic software was established in 1980 as a manufacturer and distributor of gaming machines for land based casinos. This Austria based software provider has since become one of the biggest gaming companies in the world! Novomatic software provides games to land based casinos in 70 different countries around the world. Due to Nomvatic’s phenomenal success with land based casinos, the company transitioned to the online gaming world in 2011. This saw some of their land based slots transition into online slots. Novomatic gaming software is well known for developing highly competitive casino games for both land based and online casino platforms. The games are also known for their bonuses, wilds and scatters. This software provider is well known for games such as Book of Ra and the Indiana Jones theme slot. Other popular games include Lucky Lady’s Charm and Sizzling Hot.